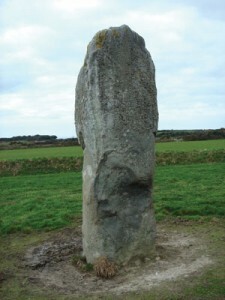 With a visible height of 3.5 metres and a further one metre under the field this is Guernsey’s largest ancient monument. Situated close by was the dolmen Creux des Faîes, (now destroyed). A tomb that has this huge rock as its sentinel must have been of great importance at some time. The engineering feat is quite stupendous and we can be certain that its location is not a random choice. As youngsters we were told the stories of the ‘Grande Pierre’ as it is also sometimes named. The story went that this was a giant’s cricket bat – a giant round rock (the ball) can be found near the back of the Imperial Hotel at Rocquaine. On the north facing edge is an area worn smooth by touching or ‘rubbing’ over the millennia. 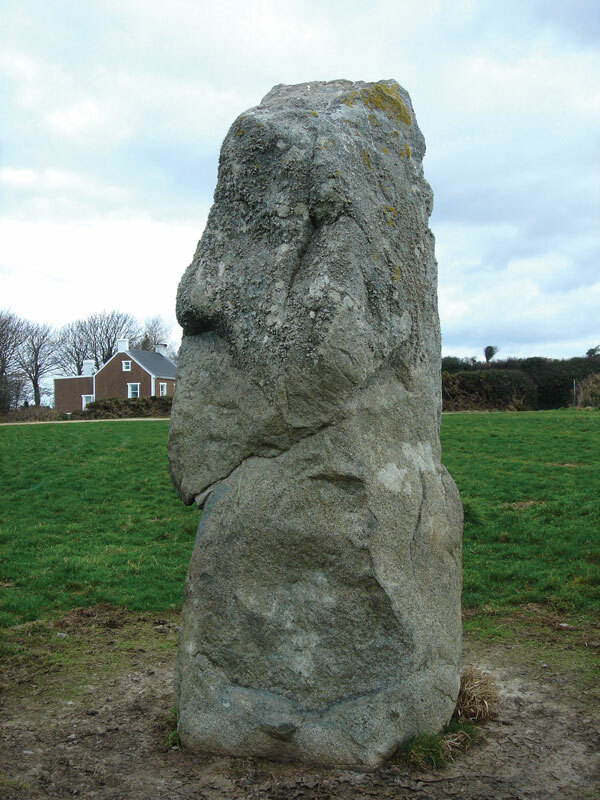 This may be due to ‘ritual’ rubbing on the stone, or, more likely, the stone being used as a ‘scratching’ post for livestock over the 6500 years it’s been here. Place names surrounding these fields suggest other menhirs that have disappeared due to farming, building and superstition leaving our sentinel alone with its secrets.